Short and Long Action available! 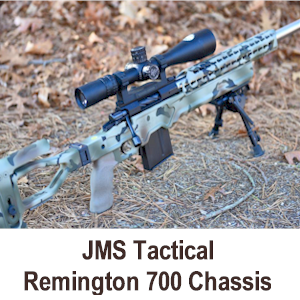 JMS Tactical manufactures Remington 700 Chassis Systems for both short and long action rifles. Our Remington 700 Tactical Chassis System is simply amazing. Our chassis is 100% manufactured in the USA out of billet aluminum. Every Remington 700 chassis we produce is guaranteed against defects in material or workmanship. When you purchase our Remington 700 Chassis for your rifle, rest assured that you have just purchased a tactical chassis of the highest quality! Our Remington 700 Tactical Chassis will produce measurable accuracy for you. With the use of our V-Bedded system, glass bedding of your action is not required. When you install your barreled action in our Chassis System, it is bedded by nature. Your barrel is free floated, and we offer the choice of Long and Short Action Stocks. Full picatinny rail, or key-mod tubes are available as well as using our system with no tube installed using the supplied plate adapter. Length of pull is facilitated using supplied spacers, and our cheek rest is fully adjustable from flat to 3.5 inches high. At checkout, choose from our awesome selection of cerakote coatings. Our most popular options are our 2 tone selctions in FDE/ODG, Burnt Bronze/Crushed Silver, Patriot Brown/Black, ODG/Black, and of course, Pink for the ladies! Our premium coatings include Black Multi-Cam, White Multi-Cam, and Green Multi-Cam. We are currently NOT doing any Hydra-Dip patterns because we have not seen the Hydra-Dip process to hold up in field use as well as the Cerakote does. Our ambidextrous folder employs a single button which controls locking of the mechanism in both folded and extended positions. Our folder is manufactured out of S7 Steel and then heat treated. Customers have told us that our folder is the tightest folding mechanism that they have ever handled. 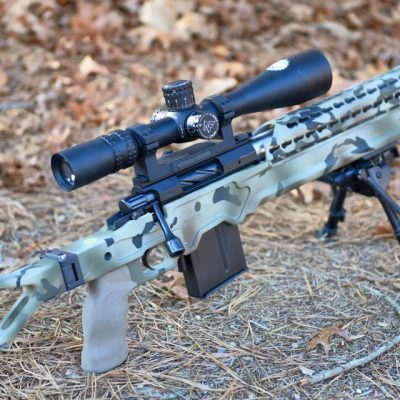 This is a major reason many customers chose our Remington 700 Chassis over our competitors. 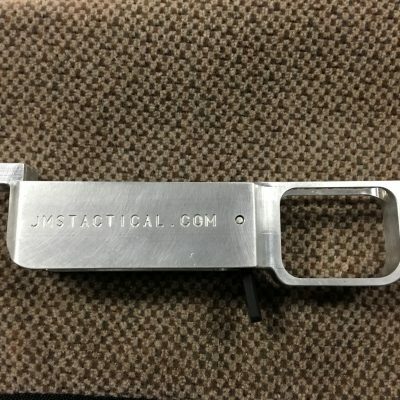 Everyone who uses our Tactical Chassis System absolutely loves the folding mechanism. feature and rigidity. We continue to improve our chassis, and we have actually lowered our retail price of our chassis system by over 30 percent. Even more amazing is the fact that we have kept every feature of our chassis system standard rather than "optional"
We make you Range Ready!